Hey! Have you guys heard of this book Vegetable Literacy? 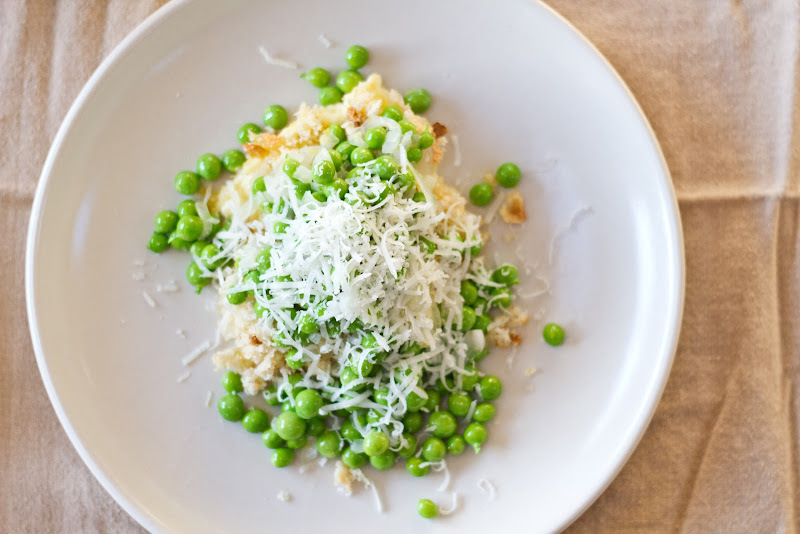 Well, I just recently got my hands on it and there are at least 20 recipes I want/need to make as soon as possible, but since it's pea season, I tried this one first. And it was pearfection (Sorry, but it was.). Not only was it simple and pealicious (I'm so sorry. ), but it's one of those dishes Iron Chefs are always trying to make, you know, one that really showcases the secret ingredient. Another amazing example of this phenomenon? This past weekend at my best friend's very low key bachelorette gathering two nights before her wedding, four of us ladies met up in Scottsdale, Arizona at an establishment called Dos Gringos for dinner and drinks. We ordered Tecate Lights, a round of tequila shots, and the 7-layer dip. When it arrived, one of the ladies asked the server if she had any "raw vegetables" she could dip into the 7-layer dip, as she was, you know, trying to be healthy-ish by not eating 100 tortilla chips that night. Courtney, our super-friendly server explained straightly and sans irony: "We don't have any fresh vegetables." And then, "But you know what? I have these carrot chips I brought in to work. I can go in the back and grab them for ya." "No, no, no, that's fine. I'm not going to take your carrot chips." "No, seriously, I left them here two days ago, and I thought someone had thrown them away, but they're still here." Two minutes later? We had a resealable bag of circular-cut carrots at our table. Bingo! 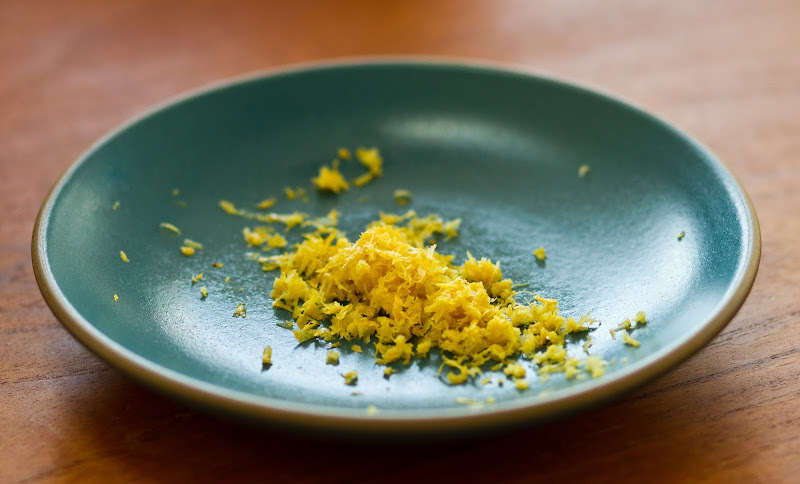 The understandable downside to Courtney's display of generosity was that the other servers of Dos Gringos, who were apparently also fans of Courtney's personal bag of carrot chips, consistently helped themselves to the food on our table. But hey, when in Scottsdale! Also, while we were in the desert, we shot another fun travel video documenting the trip in regards to road food, cacti, and western wear. Video to come soon! Point being, don't sleep on pea season, people! Take advantage! Heat the oven to 375F. Lightly oil a small baking dish; a round Spanish earthenware dish about 6 inches across is perfect for this amount. When the cheese is finished baking, heat the butter in a small skillet over medium heat. When the butter foams, add the shallots and cook until softened, about 3 minutes. Add the peas, 1/2 cup water, and the lemon zest. 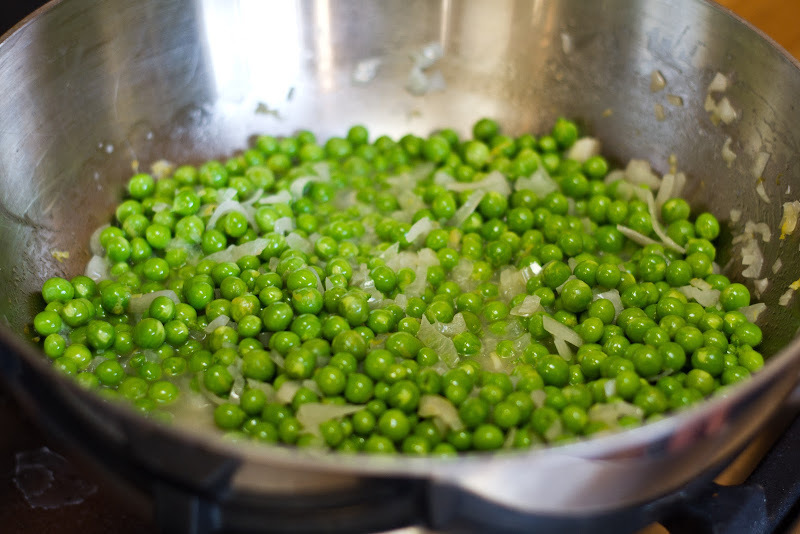 Simmer until the peas are bright green and tender; the time will vary, but it should be 3 to 5 minutes. Whatever you do, don't let them turn gray. Season with salt and little freshly ground pepper, not too much. 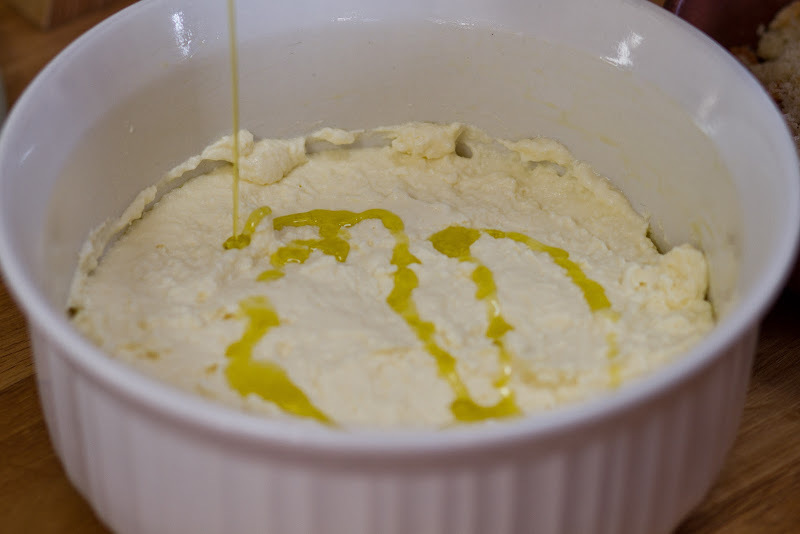 Divide the ricotta between two plates. Spoon the peas over the cheese. 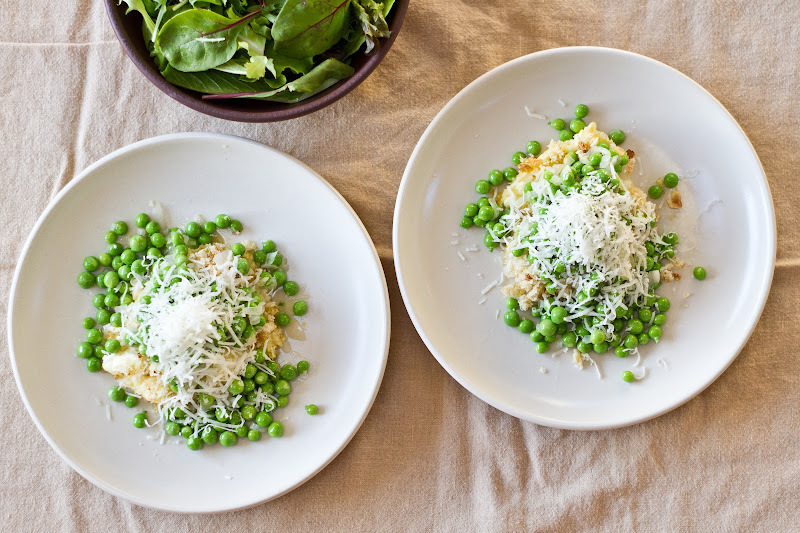 Grate some Parmesan over all and enjoy while warm. I have a hard time not shoveling fresh peas into my mouth after shucking them. I'll have to buy triple. What an insPEArational post! This looks delicious. Too bad for me, pea season is still a little further off in my future, but when the time comes, I'll know just what to do. And I'm excited you found so many great recipes in this cookbook - I have it on order currently! Did you get that ricotta at Whole Foods? My favorite cookbook of all time is Vegetarian Cooking for Everyone by Deborah Madison. There are so many recipes that are just simple ingredients and taste amazing! There's a recipe that I've made several times which consists of lentils, spinach, onions, toast and hard-boiled eggs. That's pretty much it and it's delicious. I was so excited about Vegetable Literacy that I had my copy on pre-order, and this recipe was one of the very first to catch my eye! It just looks so perfect and simple. I haven't made it yet because I had similar trouble with my local Whole Foods, but I am really looking forward to putting it together soon. You should really try the book's recipe for braised fennel with tomato and saffron. Really wonderful! I ate it ALL! I just posted about this same dish last week! I served ours on top of spinach fettucine and it was divine. Vegetable Literacy is my new obsession. Making the brussels sprouts in mustard cream vinaigrette tonight! Yum! I love peas, but always have frozen, never fresh. This looks so good! They're such an awesomely spring-y food. I didn't realize it was pea season! Not only were those carrots in a resealable bag and circular, but also julienned AND ridged. Courtney really won the MVP award that night. This looks luscious! 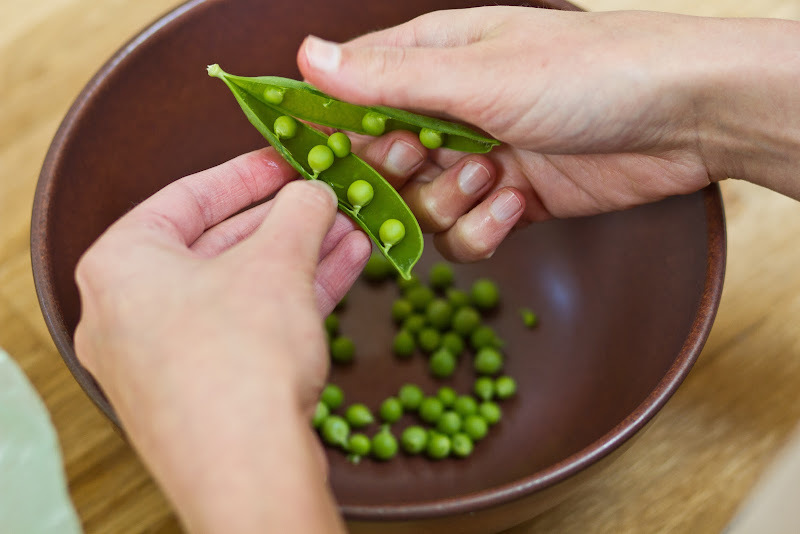 I love peas so much, my grandmother used to call me "the pea queen" when I was a kid ... not the greatest sounding endearment but I knew she meant it well! Ha!! Us and Courtney forever!! There are sooooo many things I want to make!! Like the whole chapter on Sweet Potatoes for sure. And then those tomatoes and cream?? And those chickpea triangle things?! I DID get the ricotta at Whole Foods and it was great, but if I hadn't been lazy, I would've gone to Cookbook in Echo Park and gotten the Gioia ricotta they sell there. That stuff is NO joke. Dos Gringos forever!!!!! Courtney RULES! And this pea thing looks like just what the doctor ordered!!!! Your first paragraph on peas made me laugh, and reminded me of when I was doing AmeriCorps and ran after-school workshops for kids. We did a unit on peace, and we were planning a party for the last day. I joked that we could only serve foods that were a play on the word peace - peas soup, pieces of pizza, etc. Something tells me the pizza would have been far more popular than the peas! This looks amazing. 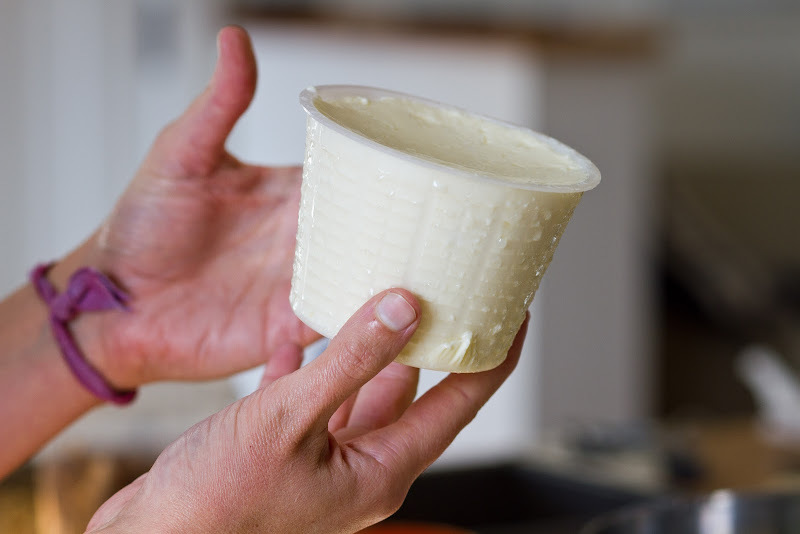 I've been crushing on the ricotta from the local Narragansett Creamery and looking for any recipe I can to eat with it. This is perfect. 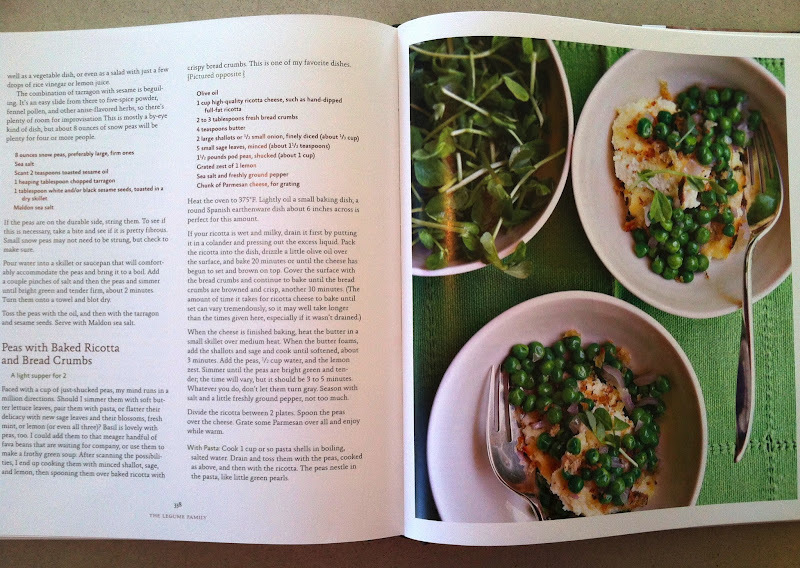 Peas will be in season here in the next few weeks so I'm stock piling recipes. Thanks! 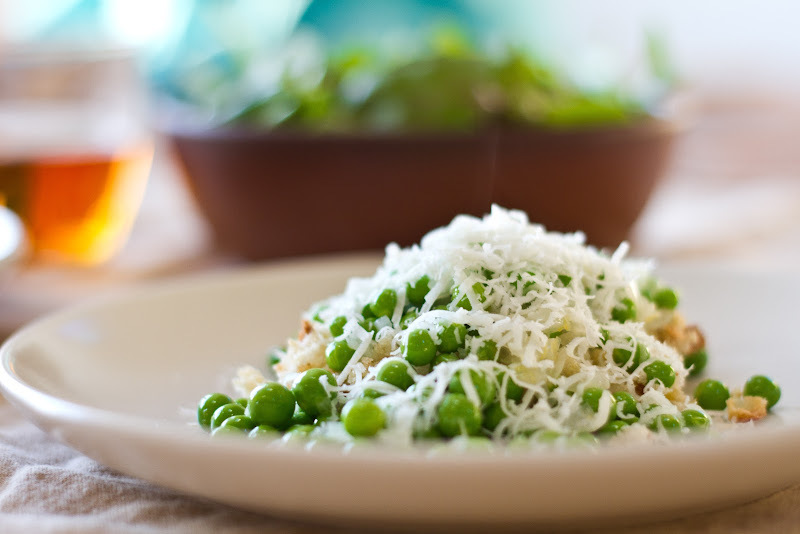 We get baby peas fresh at our farmer's market in springtime and late summer. The vendor said I could freeze the peas outside the pod for about 3 months. 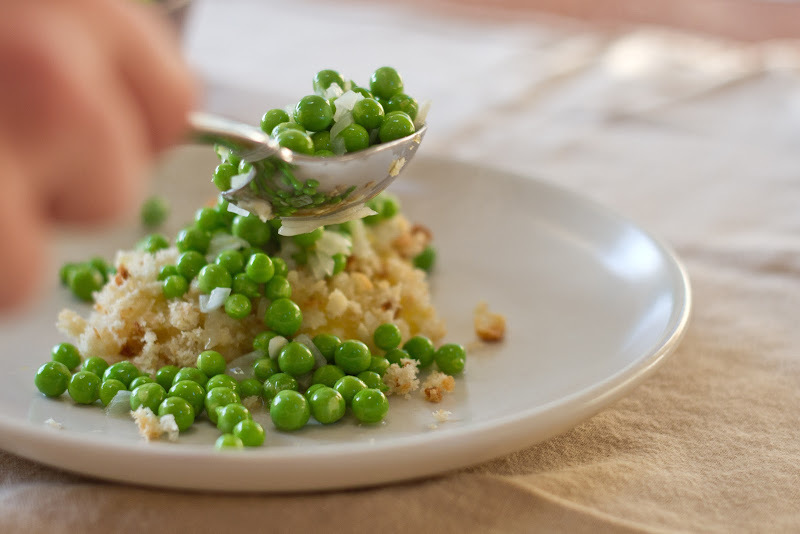 An easy do for peas this good. Also, last I looked, 3 months ago, you can order Gioia ricotta from Amazon, which works out ok, especially if you have Prime.